There are a few important characteristics that separate a display sword from a functional sword. In no way are we attempting to suggest that one type of sword is better than the other. As sword lovers, we appreciate the fact that both types of swords serve their own unique purpose. What you will need to ask yourself is, "What are my intentions for this sword?" If you're setting up your display room, or maybe you're lucky enough to have a man cave, and you want a decorative piece that will really stand out, then more than likely you're looking for a display sword. On the other hand, maybe you're a trained ninja who specializes in espionage, sabotage, infiltration, assassination and occasional open combat situations. In that case you would need a fully functional sword. But no, really, you don't have to be a ninja to wield a sword. There are tons of uses for swords, anything from slicing up a watermelon to demolishing a 2 liter Mountain Dew bottle just for the fun of it. 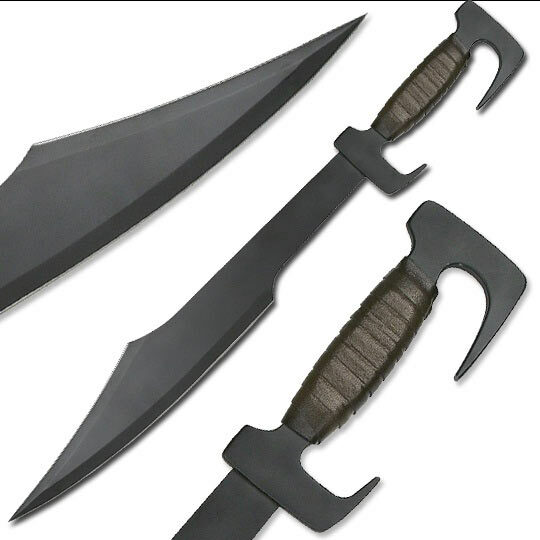 Our point is there are dozens of reasons why having a sword is a good idea whether those reasons be for self-defense, recreational or purely ornamental purposes. Man has been wielding swords for thousands of years and with the evolution of weaponry, swords are seen less and less on the battlefield, as they are replaced with ranged weapons such as rifles and side arms and other melee weapons such as bayonets and machetes. Even with the development of more modern weapons, there is still a love for swords and the art of sword fighting. There's something about holding a sword in your hands, it's like you have your destiny in your hands, literally. One of the main differences between a "battle ready" sword and a display sword is the type of steel used to forge the blade. 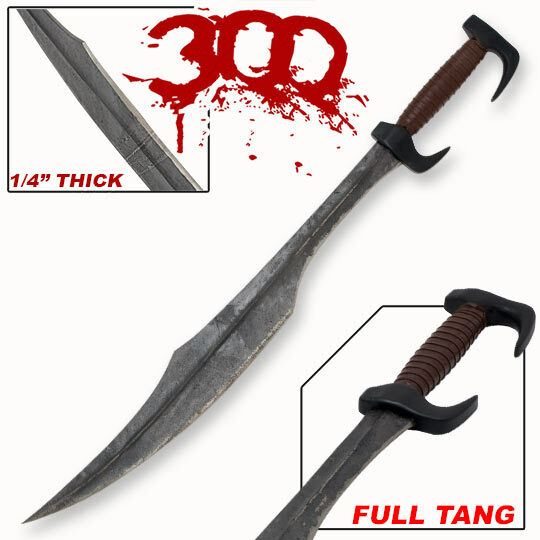 Functional swords should be composed of high quality carbon steel. Although, the high carbon steel will still need to be forged correctly to ensure that the carbon is realigned properly. Through the process of forging, the metal is heated to a malleable form then hammered into the proper shape. 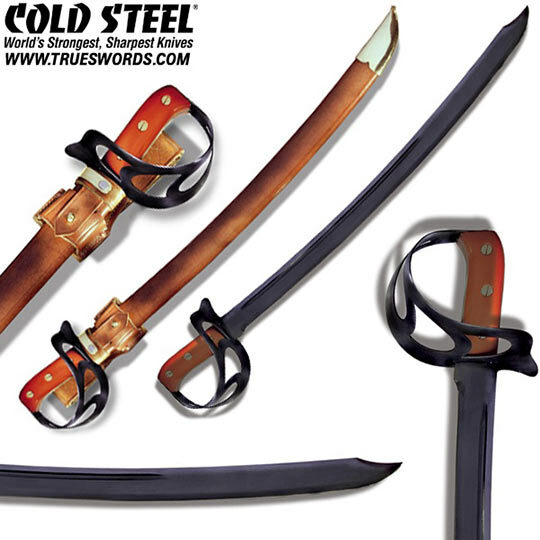 Most functional swords are then quenched and tempered creating a durable blade that is also flexible. 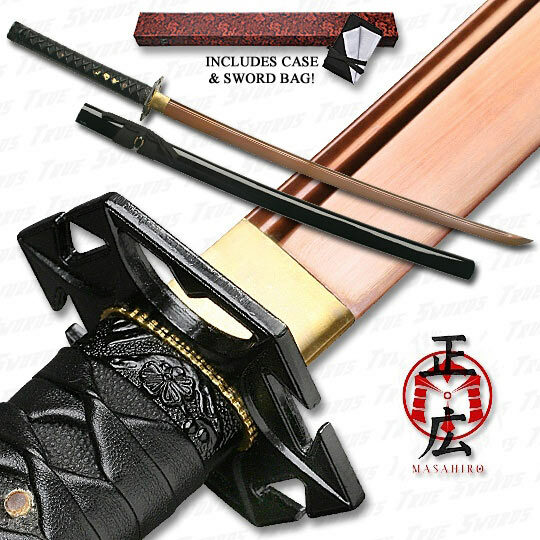 Most display swords are not functional, or "battle ready," and are merely decorative pieces. You may be wondering why the heck someone would want a sword they couldn't use. Well, the first and most obvious reason would be that they look freaking awesome! When a sword designer sets out to make a display sword, he can allot more money to creating visually appealing, intricately detailed swords, as opposed to spending more of the budget on the steel selection and the tang of the blade which is common in fully functional swords. Yet another good reason to have a decorative sword mounted on the wall or displayed in a case is that they make for excellent conversation pieces. When most people walk into a room with a sword display, their eyes are immediately drawn to the sword display. For thousands of years men have been honing the art of sword making.There are dozens of different types of decorative sword, but we're just going to review a couple of them here to give you a general idea of what some collector's like to display. If you're a sword enthusiast, then you might want to set True Swords as your new homepage. We have hundreds of swords to choose from. 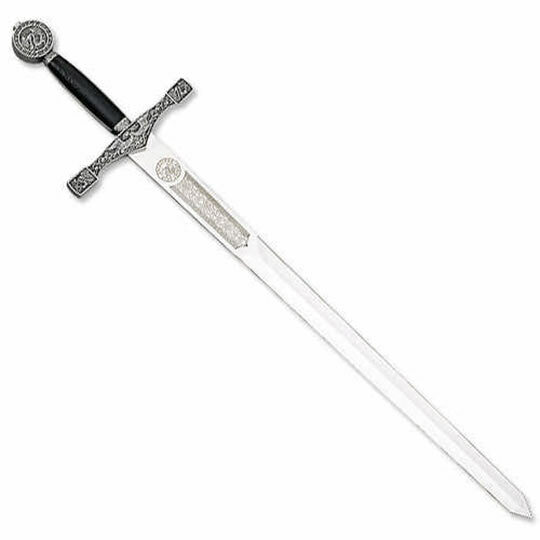 From a replica of the sword wielded by King Leonidas thousands of years ago to fantasy swords to fight off zombies in the impending apocalypse, and everything in between, True Swords is your one stop shop for any type of sword! When most people think of a "battle ready" sword, an image of an expertly crafted Japanese Katana probably pops into their mind. Another popular name for this weapon is the Samurai Sword which refers to the class of Japanese warriors who carried the sword during battle. There is a science behind the making of these blades that sword masters have been perfecting for thousands of years. 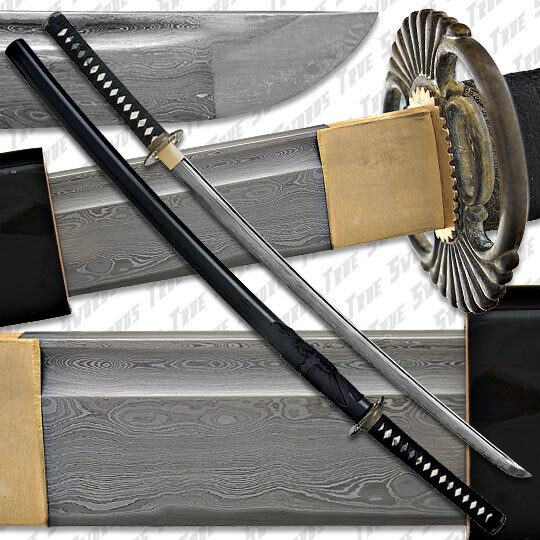 The typical Katana measures between 3 to 4 feet and weighs less than three pounds but the elegance and the functionality of the sword far exceeds its competitors. A Katana also have a characteristic curvature which makes it an effective slashing weapon, but the point of the sword is also very solid which allows for it to be used as a stabbing weapon also. Man at Arms were professional warriors who trained constantly to become skilled in combat with numerous types of weapons. Because the Man at Arms was a warrior built for battle like no other, he needed a sword that would do his title justice. This Norman Sword is an example of one of the swords that would have been utilized by these fighters. The sheer size of these beasts is intimidating coming in at 36 3/4" overall. 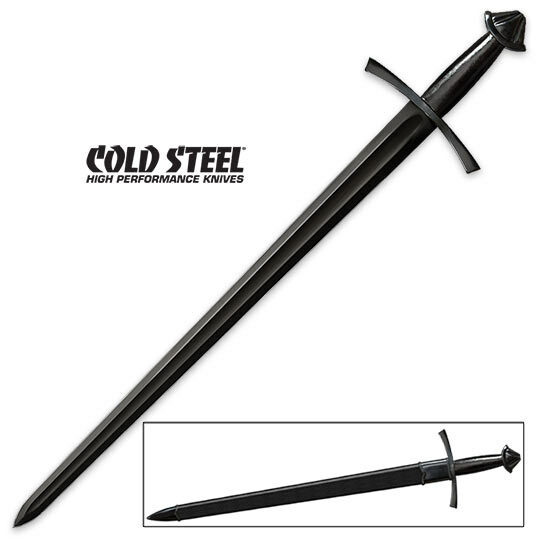 Each piece in Cold Steel's Man at Arms collection is rugged, reliable and built to perform. 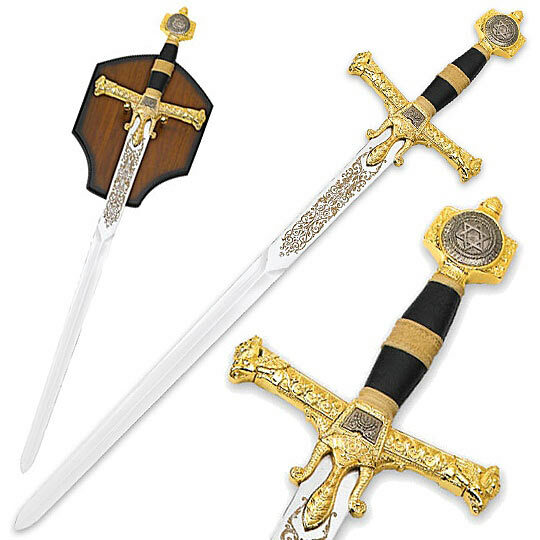 Yet another favorite of sword collectors are replicas of blades used in various wars throughout history. 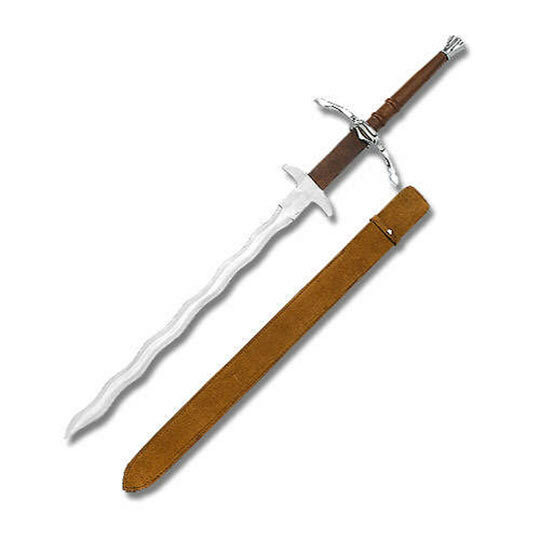 A replica display sword is a tangible relic that serves to keep history alive and well in the minds of modern society. Leonidas and his well outnumbered Spartans faced off against the Persians in a legendary battle of courage and valor. This King Leonidas Spartan Sword Replica is a collector's dream. The photo to the left is an exact replica of the sword carried by the famed King Leonidas and his 300 Spartans at the Battle of Thermopylae. The Rapier Sword was forged with an exceptionally slender, sharp point which made the blade optimal for thrusting attacks. 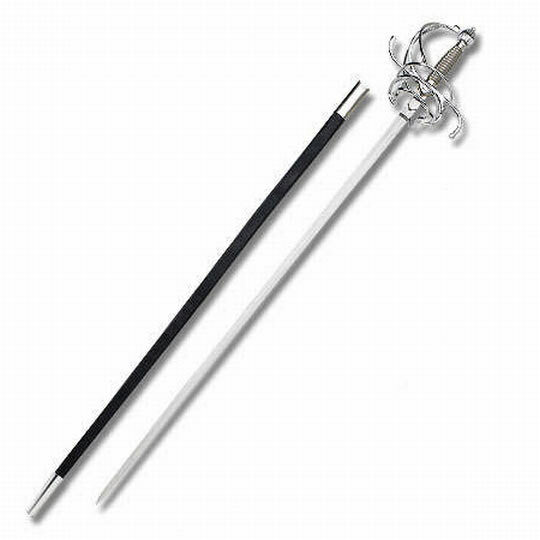 A noticeable component of a Rapier Sword is the often complex hilt that was designed to protect the wielder's hand from opposing attackers. A Rapier such as the one to the left would have been used to train men in the art of sword fighting in 17th Century Europe which was part of a gentleman's education. Some of the most famous men to wield Rapiers during battle were Alexandre Dumas's fictional characters "The Three Musketeers." Many of the swords that are considered Anime or that are utilized in animation fall into the "fantasy" sword category. These swords tend to have a vibrant flare to them which make them easily distinguishable from classic sword patterns. 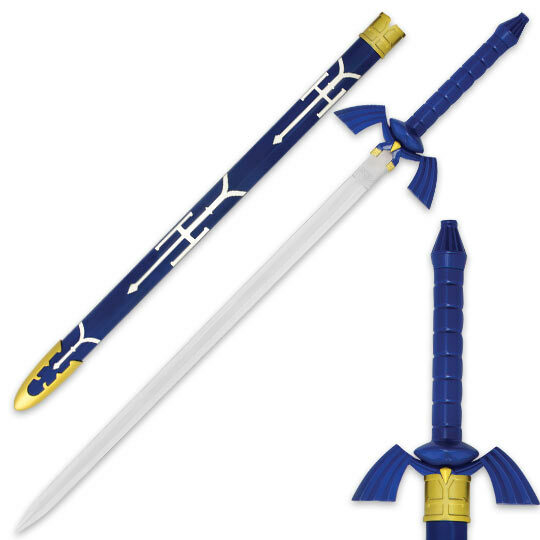 One of the most recognizable and popular anime swords of all time is Link's Master Sword from the Zelda video game. Anime swords are also seen on the cosplay scene. Particpants of cosplay (costume play) dress up as a character from a popluar movie, book, or video game. The Japanese genres of anime and manga are particularly popular with cosplay enthusiasts.